The honeymoon will not last forever. Disagreements and arguments will occur in relationships. This is okay. All relationships have disagreements, even happy ones. Life would get pretty dull if everybody agreed on everything all the time. What is important is how we handle the argument and control our behavior. Especially when our children are watching and learning from us. Children learn to navigate the world by watching us. They are very perceptive and can tell if something is wrong even if we tell them it is fine. Hiding disagreements and anger from them all the time can teach them that those feelings are not ok and lead to them not knowing how to resolve conflicts later in life or hold in their anger in. Showing children that it is ok to have an argument and how to handle it in a healthy way can improve their emotional intelligence. When having an argument in front of your child keep the discussion about the issue, don’t start belittling the other person. Don’t ever make your children take a side in your arguments and don’t make them be an intermediary or play referee in your arguments either. Also it is important to not think about an argument as something to be one or lost but as a problem to be solved. Finally, know your limit. We’ve talked about stepping back before blowing up when mad at our children, the same applies for when we’re arguing with our partners. If you feel yourself getting too hot or angry to think clear, step back from the argument. It doesn’t mean you’re conceding, it just means you’re taking a break from the discussion and coming back to it when you can think more clearly. 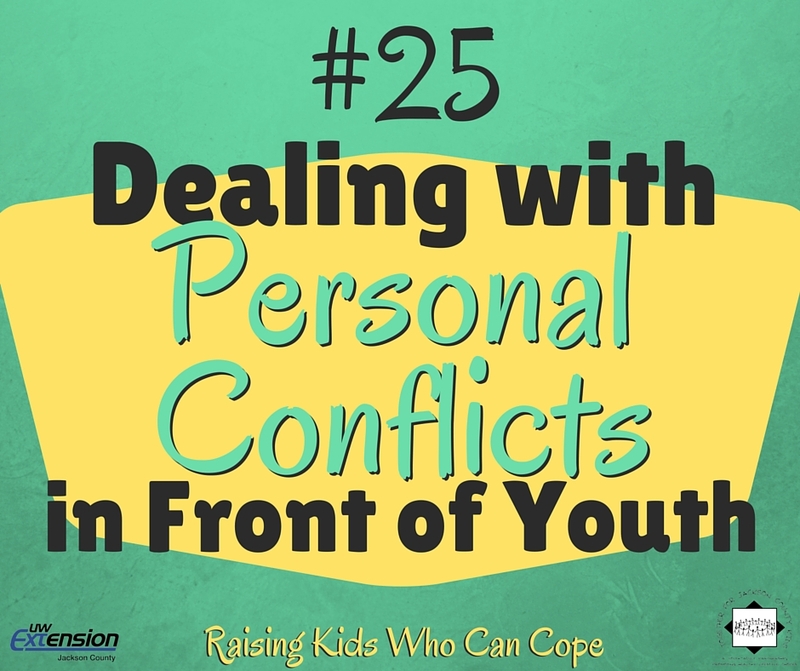 This entry was posted in Raising Kids Who Can Cope and tagged conflict, coping skills, emotions, managing stress, resilient, youth. Bookmark the permalink.